So the HTC One X+ is more powerful, better looking and more musically gifted than its predecessor. It also offers more storage, a larger battery and the power of Jelly Bean and Sense 4+ out of the box. None of the updates is ground-breaking, but when you add them together you get a package that is way more desirable than the One X. Had the One X+ came to the market back when HTC released its predecessor, the story might have been different. We probably wouldn't be talking about a Galaxy S III-dominated Android landscape, but about a market split between that and the HTC flagship. There's no need to dwell on the past, though. 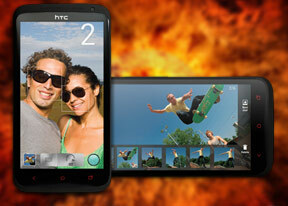 The present is all it matters in this business, so what's important is what are the HTC One X+ chances in the current market. HTC's advantage over the competition is the solid unibody build and the powerful Sense launcher. With the 64GB of internal storage negating the Galaxy S III advantage of featuring a microSD slot, the Samsung flagship finds itself in a significantly weaker position this time. True, TouchWiz is slightly more capable than Sense 4+, but the HTC launcher offers better looks and superior integration of cloud services. And while the One X+ video recording isn't as good as that of the Galaxy S III, it's low-light performance is superior. If pricing was equal we'd probably pick the One X+ over the Galaxy S III, even if we admit we will be missing those ultra deep AMOLED blacks occasionally. 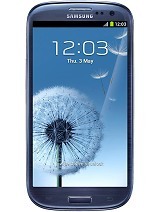 HTC's biggest problem is, however, that pricing isn't equal - the Galaxy S III has undergone some price cuts and is now notably cheaper than the One X+. Even if you factor in the price of a 64GB microSD card (which would bring the S III available storage to 80GB), the Samsung smartphone is still slightly more affordable. It's up to HTC to get the carriers to offer some nice subsides and even up the field. And then there's LG with its newly released Optimus G beast. The One X+ can't match that one in terms of pure processing power, but runs a newer Android release and has an edge in terms of looks. So unless LG manages to release a Jelly Bean update in time for the holiday season, the larger fanbase that Sense 4+ has, might help the HTC flagship do better than the Optimus G in the most important period of the year. The One X+ might just be a stopgap device, one that merely aims to put HTC in a good position for the Holiday shopping spree and buy time, instead of trying to revolutionize the smartphone world. But there's plenty to love about it and very little to frown at, which is what really counts here. Let's just hope HTC does a better job of the marketing this time, as we'd hate to see it fail the way its predecessor did.